We need the help of you, the average working person, who understands that the right to organize is a civil right and a human right that should never be denied by state law. We need your small $5 and $10 donations. 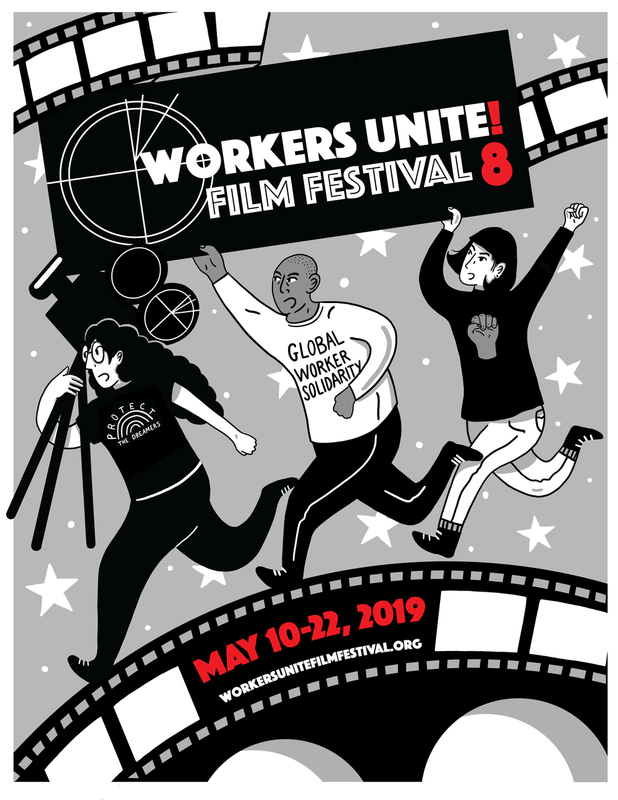 The Workers Unite Film Festival is a celebration of Global Labor Solidarity, based in NYC each May. The Festival aims to showcase student and professional films from the United States and around the world which publicize and highlight the struggles, successes and daily lives of all workers in their efforts to unite and organize for better living conditions and social justice. We hope to illuminate, educate and motivate audiences to take action. We raise money from progressive foundations, of which there are a few and a few labor friendly businesses. We partner with labor unions and labor federations as often as we can, but these groups need every dollar of their member's dues to fight off the anti-union attacks by corporations and their well-funded government friends. So read about us on our site, come see some films this May in NYC and donate whatever you can manage so we can keep screening these amazing and powerful films from here in the U.S. and worldwide about workers fighting for dignity and fair wages and their human rights every single day.